UNIONMADE | San Francisco Style Americana | A Continuous Lean. Let me first say it is good that new shops are opening. There was a point in this whole economic mess that no new brands were launching and no new stores were opening, it was depressing. 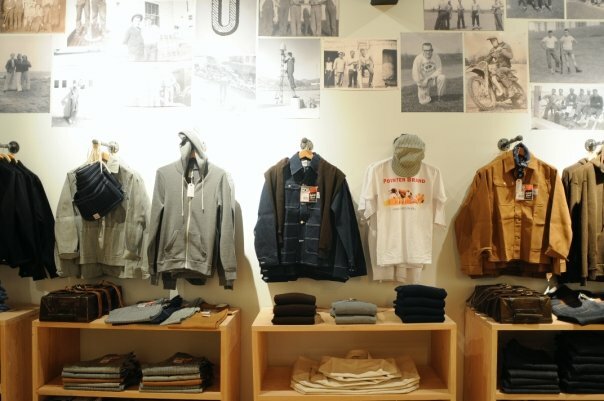 Now, while just getting a new store is good, getting a new store like UNIONMADE is great. 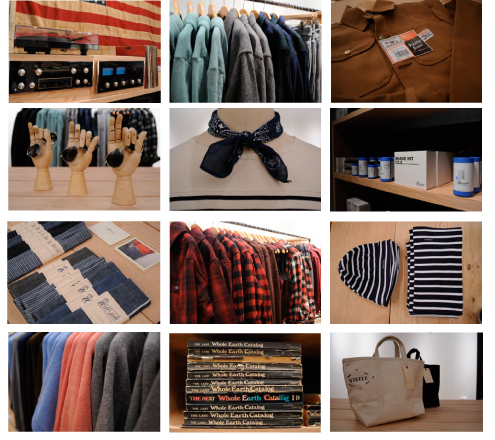 The men’s shop which was founded by Pennsylvania native Todd Barket, opened this past weekend on Sanchez Street in San Francisco and is an exercise in excellence. Barket spent 18 years at GAP working in various capacities including visual merchandising and marketing, and the man clearly understands retail. I think the worst part about this place is that it is so far away from me. 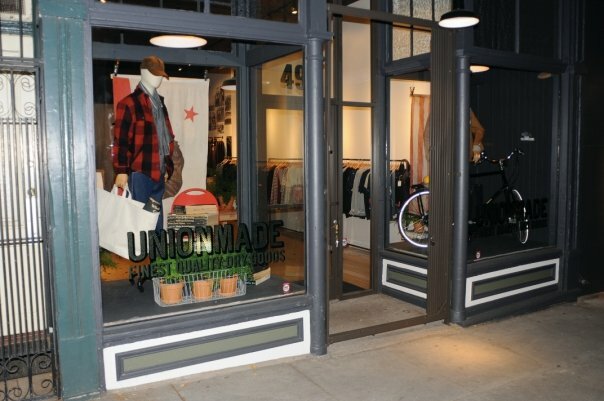 UNIONMADE seems to have a stock list that dreams are made of, with brands like Rogues Gallery, Alden, Mark McNairy, Levi’s Vintage Clothing, Woolrich, Filson, Crescent Down Works, Pendleton, The Hill-Side, Fox River Mills, Jean Shop, Pointer Brand and many more. It is interesting to see how Americana has officially manifested itself as the retail story of the past few years. I’d say the graph goes something like this Smith + Butler opens in Brooklyn, Winn Perry in Portland, Craft in Los Angeles, Imogene + Willie in Nashville, Blackbird’s Field House in Seattle and now the newest entrant, UNIONMADE in San Francisco. You might even be able to place the J. Crew Liquor store in there somewhere. It is interesting to see it proliferate across the coasts, but I feel like this type of store would even work in traditionally unfashionable cities across the U.S. Places like Cleveland, Milwaukee, St. Louis, Pittsburgh and Minneapolis. Maybe I am just crazy. Either way, if you are on this blog chances are you will like this store, I know I do. I’ll take the Sarrinen chair in there. finally a great mens shop in San Francisco. Starting a small business in this economy is an act of defiance. It is great to know there are people like Todd around that are determined to build a new vision for retail. This shop is the stuff dreams are made of. Looks like Mickey Drexlers sense of style and appreciation for beautifully interesting and understated clothing made an impression on Todd. As approachable as The Gap but with clothes I would gladly invest in. Wasn’t actually the first store to sell product like this in America the original Self Edge? That spot came before the rest i thought..
Derek…It was RRL on Mott Street (the 1st try) Mr. Lauren tried selling us this look and feel years ago..of course with the help of his talented soldiers. Great shop guys ……I wish you the BEST ! I’m surprised the Jack Spade store didn’t make your list. Has it been around too long? But what with Ralph Lauren and Hilfiger and all the rest, is it unpatriotic or snide to wonder at what point the use of the American flag as a branding element in fashion has become trite? i think the idea with the store is that the clothes are all made in the USA–with ralph , tommy , gap and j.crew etc…they are made outside of the US–hence the flag actually makes sense. as for darrins comment about m.d.–give me a break– m.d. surrounds himself w/ people that have great taste and todd WAS one of those people. todd was a huge influence on the gap, o.n. and bananna republic brands….it’s long overdue that he is doing his own thing–he has incredible style and taste and i cant wait to shop his store. A lot of the retailers and manufacturers you feature in this blog are doing traditional American sportswear and work wear updated with better workmanship and modern design touches. They are all talented and passionate about their brands. The real question is whether there is enough potential customers out there that can perceive the differences and are willing to pay a premium for looks that are similar to mass-market offerings from GAP, Banana Republic, Rugby, J.Crew, etc., etc. if only a store like this would open in philadelphia. this place looks great. Your new store looks fantastic. Lots of LUCK! @derek: Nothing taken away from Self Edge–Kiya is doing a great job importing Japanese selvedge denim made on reclaimed and relocated American looms. Matter of fact, I think he’s the preeminent brand doing it. But it looks like Union Made is definitely concentrating on American-made stuff. I’m gonna have to drop in over there and take a look around…anyone need me to pick anything up while I’m there? Great looking storefront and interior. And it’s good to see Pointer Brand and FRM being represented alongside more “couture” Americana brands. Good question Joe. I guess only time will tell. 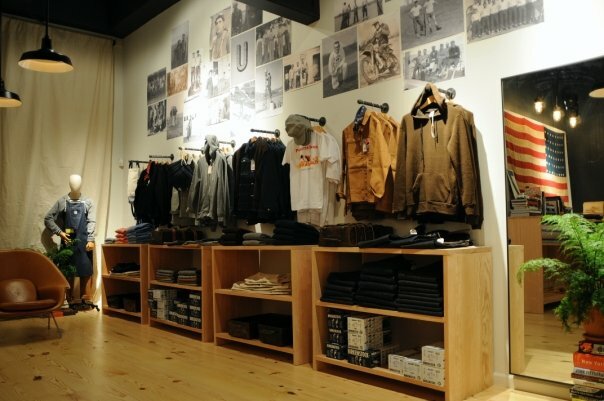 Wow what a great store…Really like the photos on the wall. Dig it, will definitely check it out. Be cool if subtle hints of California are mixed in. Would also be cool if a union card got you a discount. I am uncertain about your characterization of Cleveland as “unfashionable.” If you look at it historically, Cleveland embodies much more than just fashion: interesting industrial architecture, blue-collar ethic, and the first major city with an African-American mayor. I look at those three concepts as very fashioned, indeed. Chase â€” I’m from Cleveland and there is no chance you will convince me that the city is fashionable. No way. Congratulations San Fransisco’ers! Sounds like a great store. And I really agree with you, about this store would work out in unfashionable cities as well, because the whole style of the store really seem easily accessible. I agree, the concept could definitely play in Peoria. Or Cleveland, where I’m also from. I’d love to start something like this out there. So…anyone want to fund me? What I think is so inspiring about the concept is that everything seems chosen because of its simplistic beauty, quality materials and ease of wear. It is a heavenly store for sure but I think more than that it is a manifesto for a new effortless style. Well done indeed! I disagree that Minneapolis is “unfashionable.” It might not have the same following of high-fashion, but it is an incredibly artistic, educated and cultural place. Plus, Red Wing boots are from just down the river. I rest my case. Was just about to come in and post the same, AG. Stores are opening left and right in the Twin Cities. While we don’t have a UNIONMADE yet, the market here is ripe for it, and I for one plan on doing everything I can to make my dreams for this type of thing a reality. I think Self-Edge and Unionmade have similar goals, but the way they go about achieving them is what makes the stores unique. Self-Edge carries mostly Japanese re-po brands that recreate the American workwear ethic, but the fact is that most of the product is Japanese made. 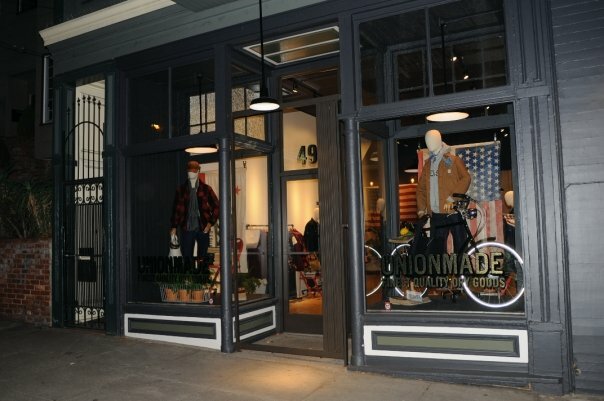 Unionmade looks like it’s carrying largely made in America clothing. There are definitely similarities, but differences exist as well. I like the MacIntosh Amp. Nice to see some vintage amps showing up along side the US clothing aesthetic. I’ve got a small collection of Mac, Marantz, and Fisher tube amps. They sound great and are beautiful to look at. Great post. Particularly intrigued by the graph of Americana proliferation across the States. I would be fascinated to see a visualization of the whole story. It would also be interesting to see how blogs like ACL weighed in. 1) Oi Polloi – no idea how I stumbled upon their site in the first place, but I think that was probably my first exposure to a well-curated inventory of the kinds of brands popping up in places like UNIONMADE. Yes, it’s British. But I still think it had an impact on the US phenomenon. 2) Selectism / Kempt / ACL – honestly, can’t remember which appeared first on my radar (Hope that won’t offend anyone – they’re all great sites). 4) A Time To Get (endorsed on ACL). Curious to hear others’ trajectories. IMHO, bykenyan, RRL on Mott Street has no place on the list. Eleven – the next block over – might. The difference comes down to curation vs. imitation (thinking about intentionally-distressed fabrics at RRL). J. Crew was guilty of this not too long ago, but has made significant turnaround due to brilliant creative direction and excellent collaborations. RRL has to be on the list. They’ve been doing “workwear” for years. With yet another new store opening with a focus on American made products I can’t help but think along the same lines as Joe commented. It kinda feels like a ship that’s taking on to many passengers and is in trouble of sinking. Great store and a great post. Ultimately the Americana look is not just big here it is big all over the world now. Think in the overall culture (here) there is a want/need for things that are well made, authentic, and true. Things that defy “fashion” for lack of a better term. Things that last or at least give the impression of lasting. Being that my current stop in my world tour is Milwaukee I can assure you people here would not get this, you gotta remember they can buy Redwings at Farm and Fleet, but that is no less a celebration of the fact that the brands mentioned above are appreciated by a wide audience and are still used for their original intent-to do hard work. Looks to be a cool mens store and all, but I gotta wonder how much more that $12 Pointer Brand t-shirt is in their store…. I went to Craft, here in Los Angeles. This was on one of the many days in which I am not working. I admired the $300 blue jeans and the $175 sweatshirts. There was not one other person in the vast space. There is a new workingman ethic in clothing that you have well documented. The only problem is that there are not enough working men to buy these clothes. The shop looks great! 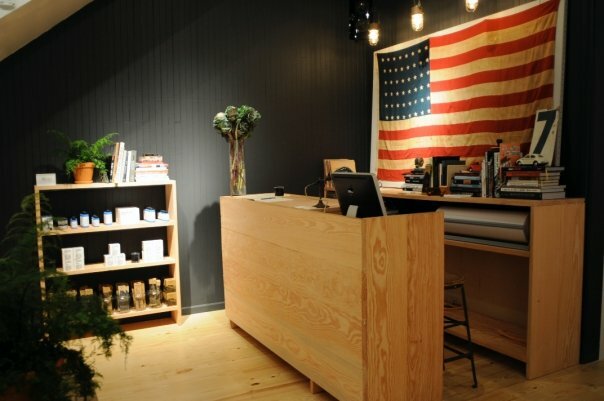 Smith+Butler in Brooklyn has been doing this type of theme (mostly American made goods) for about a year – so its a perfect sister store to them on the left coast. Keep up the good fight. Excited to stop in soon. @Andy, good insightful comment. Much needed. loove it… i think it might even work in a few right-to-work states like umm oh i dunno northern virgina! you know close enuff for me to pop over the bridge and score! Things like this make me miss living in San Francisco; I’ll be back soon! Great profile for what looks like a great store. The shop looks great, and I love the concept. I have a question for you guys who like the look, and traditional brands like Woolrich and Filson – do you ever have fit problems, or find that they run too big? I ask because I have a mountain sports shop where we’ve sold those brands for years, and I’m trying to rethink our merchandising concept to foreground our American heritage lines, and I often get that comment from (primarily) young men – any thoughts?